Judaism generally views Jesus as one of a number of Jewish Messiah claimants who have appeared throughout history. Jesus is viewed as having been the most influential, and consequently the most damaging, of all false messiahs. However, since the traditional Jewish belief is that the messiah has not yet come and the Messianic Age is not yet present, the total rejection of Jesus as either messiah or deity has never been a central issue for Judaism. Judaism has never accepted any of the claimed fulfillments of prophecy that Christianity attributes to Jesus. Judaism also forbids the worship of a person as a form of idolatry, since the central belief of Judaism is the absolute unity and singularity of God. Jewish eschatology holds that the coming of the Messiah will be associated with a specific series of events that have not yet occurred, including the return of Jews to their homeland and the rebuilding of The Temple, a Messianic Age of peace and understanding during which "the knowledge of God" fills the earth, and since Jews believe that none of these events occurred during the lifetime of Jesus (nor have they occurred afterwards), he is not a candidate for messiah. The belief that Jesus is God, the Son of God, or a person of the Trinity, is incompatible with Jewish theology. Jews believe Jesus did not fulfill messianic prophecies that establish the criteria for the coming of the messiah. Authoritative texts of Judaism reject Jesus as God, Divine Being, intermediary between humans and God, messiah or saint. 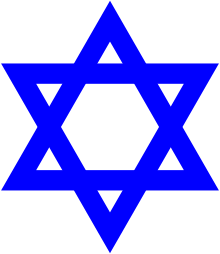 Belief in the Trinity is also held to be incompatible with Judaism, as are a number of other tenets of Christianity. To the question, Was Jesus God or man?, the Christians therefore answered: both. After 70 AD, their answer was unanimous and increasingly emphatic. This made a complete breach with Judaism inevitable. In the 12th century, the preeminent Jewish scholar Maimonides codified core principles of Judaism, writing "[God], the Cause of all, is one. This does not mean one as in one of a pair, nor one like a species (which encompasses many individuals), nor one as in an object that is made up of many elements, nor as a single simple object that is infinitely divisible. Rather, God is a unity unlike any other possible unity." Some Jewish scholars note that the common poetic Jewish expression, "Our Father in Heaven", was used literally by Jesus to refer to God as "his Father in Heaven" (cf. Lord's Prayer). But if he did not succeed in all this or was killed, he is definitely not the Moshiach promised in the Torah... and God only appointed him in order to test the masses. Jews believe that the messiah will fulfill the messianic prophecies of the prophets Isaiah and Ezekiel. According to Isaiah, the messiah will be a paternal descendant of King David. He is expected to return the Jews to their homeland and rebuild the Temple, reign as King, and usher in an era of peace and understanding where "the knowledge of God" fills the earth, leading the nations to "end up recognizing the wrongs they did Israel". Ezekiel states the messiah will redeem the Jews. Therefore, any Judaic view of Jesus per se is influenced by the fact that Jesus lived while the Second Temple was standing, and not while the Jews were exiled. He never reigned as King, and there was no subsequent era of peace or great knowledge. Jesus died without completing or even accomplishing part of any of the messianic tasks, instead promising a Second Coming. Rather than being redeemed, the Jews were subsequently exiled from Israel. These discrepancies were noted by Jewish scholars who were contemporaries of Jesus, as later pointed out by Nahmanides, who in 1263 observed that Jesus was rejected as the messiah by the rabbis of his time. Moreover, Judaism sees Christian claims that Jesus is the textual messiah of the Hebrew Bible as being based on mistranslations and Jesus did not fulfill the Jewish Messiah qualifications. According to the Torah (Deuteronomy 13:1-5 and 18:18-22), the criteria for a person to be considered a prophet or speak for God in Judaism are that he must follow the God of Israel (and no other god); he must not describe God differently from how he is known to be from Scripture; he must not advocate change to God's word or state that God has changed his mind and wishes things that contradict his already-stated eternal word; and the things he does speak of must come to pass. There is no concept of the Messiah "fulfilling the law" to free the Israelites from their duty to maintain the mitzvot in Judaism, as is understood in much of Christianity. There are two types of "false prophet" recognized in the Hebrew Bible (Tanakh): the one who claims to be a prophet in the name of idolatry, and the one who claims to be a prophet in the name of the God of Israel, but declares that any word or commandment (mitzvah) which God has said no longer applies, or makes false statements in the name of God. As traditional Judaism believes that God's word is true eternally, one who claims to speak in God's name but diverges in any way from what God himself has said, logically cannot be inspired by divine authority. Deuteronomy 13:1 states simply, "Be careful to observe only that which I enjoin upon you; neither add to it nor take away from it." Even if someone who appears to be a prophet can perform supernatural acts or signs, no prophet or dreamer can contradict the laws already stated in the Bible. Thus, any divergence espoused by Jesus from the tenets of biblical Judaism would disqualify him from being considered a prophet in Judaism. This was the view adopted by Jesus' contemporaries, as according to rabbinical tradition as stated in the Talmud (Sotah 48b) "when Malachi died the Prophecy departed from Israel." As Malachi lived centuries before Jesus it is clear that the rabbis of Talmudic times did not view Jesus as a divinely inspired prophet. Furthermore, the Bible itself includes an example of a prophet who could speak directly with God and could work miracles but was "evil", in the form of Balaam. Judaism does not share the Christian concept of salvation, as it does not believe people are born in a "state of sin". Judaism holds instead that a person who sins can repent of that sin and, in most cases, have it forgiven. Various works of classical Jewish rabbinic literature are thought to contain references to Jesus, including some uncensored manuscripts of the Babylonian Talmud (redacted roughly before 600 CE) and the classical midrash literature written between 250 CE and 700 CE. There is a spectrum of scholarly views on how many of these references are actually to Jesus. 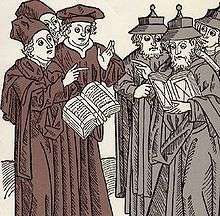 Christian authorities in Europe were largely unaware of possible references to Jesus in the Talmud until 1236, when a convert from Judaism, Nicholas Donin, laid thirty-five formal charges against the Talmud before Pope Gregory IX, and these charges were brought upon rabbi Yechiel of Paris to defend at the Disputation of Paris in 1240. Yehiel's primary defence was that Yeshu in rabbinic literature was a disciple of Joshua ben Perachiah, and not to be confused with Jesus (Vikkuah Rabbenu Yehiel mi-Paris). At the following Disputation of Barcelona (1263) Nahmanides made the same point. Rabbis Jacob ben Meir (12th century), Jehiel ben Solomon Heilprin (17th century) and Jacob Emden (18th century) support this view. Not all rabbis took this view. The Kuzari by Rabbi Yehuda Halevi (c.1075-1141), understood these references in Talmud as referring to Jesus of Nazareth and based on them believed that Jesus of Nazareth lived 130 years prior to the date that Christians believe he lived, contradicting the Gospels' account regarding the chronology of Jesus. Profiat Duran's anti-Christian polemic Kelimmat ha-Goyim ("Shame of the Gentiles", 1397) makes it evident that Duran gave no credence to Yehiel of Paris' theory of two Jesuses. According to some the oppression by King Janneus mentioned in the Talmud occurred about 87 BCE, which would put the events of the story about a century before Jesus. The Yeshu who taught Jacob of Sechania would have lived a century after Jesus. There are also differences between accounts of the deaths of Yeshu and Jesus. The forty-day waiting period before execution is absent from the Christian tradition and moreover Jesus did not have connections with the government. Jesus was crucified not stoned. Jesus was executed in Jerusalem not Lod. Jesus did not burn his food in public and the Yeshu who did this corresponds to Manasseh of Judah in the Shulkhan Arukh. Jesus did not make incisions in his flesh, nor was he caught by hidden observers. In the Toledot Yeshu, the name of Yeshu is taken to mean yimach shemo. In all cases of its use, the references are to Yeshu are associated with acts or behaviour that are seen as leading Jews away from Judaism to minuth (a term usually translated as "heresy" or "apostasy"). Historically, the portrayals of Jesus in Jewish literature were used as an excuse for antisemitism among Christians. Modern scholarship on the Talmud has a spectrum of views from Joseph Klausner, R. Travers Herford and Peter Schäfer who see some traces of a historical Jesus in the Talmud, to the views of Johann Maier, and Jacob Neusner who consider that there are little or no historical traces and texts have been applied to Jesus in later editing, and others such as Boyarin (1999) who argue that Jesus in the Talmud is a literary device used by Rabbis to comment on their relationship to and with early Christians. The primary references to Yeshu are found only in uncensored texts of the Babylonian Talmud and the Tosefta. The Vatican's papal bull issued in 1554 censored the Talmud and other Jewish texts, resulting in the removal of references to Yeshu. No known manuscript of the Jerusalem Talmud makes mention of the name, although one translation (Herford) has added it to Avodah Zarah 2:2 to align it with similar text of Chullin 2:22 in the Tosefta. All later usages of the term Yeshu are derived from these primary references. In the Munich (1342 CE), Paris, and Jewish Theological Seminary of America manuscripts of the Talmud, the appellation Ha-Notzri is added to the last mention of Yeshu in Sanhedrin 107b and Sotah 47a as well as to the occurrences in Sanhedrin 43a, Sanhedrin 103a, Berachot 17b and Avodah Zarah 16b-17a. Student, Zindler and McKinsey Ha-Notzri is not found in other early pre-censorship partial manuscripts (the Florence, Hamburg and Karlsruhe) where these cover the passages in question. Although Notzri does not appear in the Tosefta, by the time the Babylonian Talmud was produced, Notzri had become the standard Hebrew word for Christian and Yeshu Ha-Notzri had become the conventional rendition of "Jesus the Nazarene" in Hebrew. For example, by 1180 CE the term Yeshu Ha-Notzri can be found in the Maimonides' Mishneh Torah (Hilchos Melachim 11:4, uncensored version). In Sanhedrin 107b; Sotah 47a states that Jesus was sexually immoral and worshiped idols. Even Jesus the Nazarene who imagined that he would be Messiah and was killed by the court, was already prophesied by Daniel. So that it was said, "And the members of the outlaws of your nation would be carried to make a (prophetic) vision stand. And they stumbled" (Daniel 11.14). Because, is there a greater stumbling-block than this one? So that all of the prophets spoke that the Messiah redeems Israel, and saves them, and gathers their banished ones, and strengthens their commandments. And this one caused (nations) to destroy Israel by sword, and to scatter their remnant, and to humiliate them, and to exchange the Torah, and to make the majority of the world err to serve a divinity besides God. Ever since the time of Revelation, every despot or slave that has attained to power, be he violent or ignoble, has made it his first aim and his final purpose to destroy our law, and to vitiate our religion, by means of the sword, by violence, or by brute force, such as Amalek, Sisera, Sennacherib, Nebuchadnezzar, Titus, Hadrian, may their bones be ground to dust, and others like them. This is one of the two classes which attempt to foil the Divine will. After that there arose a new sect which combined the two methods, namely, conquest and controversy, into one, because it believed that this procedure would be more effective in wiping out every trace of the Jewish nation and religion. It, therefore, resolved to lay claim to prophecy and to found a new faith, contrary to our Divine religion, and to contend that it was equally God-given. Thereby it hoped to raise doubts and to create confusion, since one is opposed to the other and both supposedly emanate from a Divine source, which would lead to the destruction of both religions. For such is the remarkable plan contrived by a man who is envious and querulous. He will strive to kill his enemy and to save his own life, but when he finds it impossible to attain his objective, he will devise a scheme whereby they both will be slain. Daniel had already alluded to him when he presaged the downfall of a wicked one and a heretic among the Jews who would endeavor to destroy the Law, claim prophecy for himself, make pretenses to miracles, and allege that he is the Messiah, as it is written, "Also the children of the impudent among thy people shall make bold to claim prophecy, but they shall fall." (Daniel 11:14). You know that the Christians falsely ascribe marvelous powers to Jesus the Nazarene, may his bones be ground to dust, such as the resurrection of the dead and other miracles. Even if we would grant them for the sake of argument, we should not be convinced by their reasoning that Jesus is the Messiah. For we can bring a thousand proofs or so from the Scripture that it is not so even from their point of view. Indeed, will anyone arrogate this rank to himself unless he wishes to make himself a laughing stock? Considering the historical Jesus, some modern Jewish thinkers have come to hold a more positive view of Jesus, arguing that he himself did not abandon Judaism and/or that he benefited non-Jews. Among historic Orthodox rabbis holding these views are Jacob Emden, Eliyahu Soloveitchik, and Elijah Benamozegh. Moses Mendelssohn, as well as some other religious thinkers of the Jewish Enlightenment, also held more positive views. Austrian-born philosopher Martin Buber also had Jesus in a great regard. A positive view of Jesus is fairly represented in the mainstream of modern Progressive Judaism in the currents of Reform (Emil G. Hirsch and Kaufmann Kohler), Conservative (Milton Steinberg and Byron Sherwin), and Jewish Renewal (Zalman Schachter-Shalomi). Some Orthodox rabbis today, like Irving Greenberg and Jonathan Sacks, also hold positive views. Shmuley Boteach takes this even farther, following the research of Hyam Maccoby. These views have been challenged by the majority of the wider Orthodox community. However, despite some reevaluations from a historical perspective, it is still considered outside the bounds of normative Judaism of all streams to consider Jesus to be the Jewish Messiah. ↑ "JESUS OF NAZARETH - JewishEncyclopedia.com". "For a Jew, however, any form of shituf is tantamount to idolatry in the fullest sense of the word. There is then no way that a Jew can ever accept Jesus as a deity, mediator or savior (messiah), or even as a prophet, without betraying Judaism." Schochet, Rabbi J. Emmanuel (29 July 1999). "Judaism has no place for those who betray their roots". The Canadian Jewish News. Archived from the original on 20 March 2011. Retrieved 11 March 2015. ↑ Rabbi Shraga Simmons, "Why Jews Don't Believe in Jesus". Retrieved 2006-03-14. , "Why Jews Don't Believe in Jesus", Ohr Samayach - Ask the Rabbi, accessed March 14, 2006; "Why don't Jews believe that Jesus was the messiah? ", AskMoses.com, accessed March 14, 2006. ↑ Johnson, Paul (1987). A History of the Jews. HarperCollins. p. 144. ISBN 0-06-091533-1. ↑ Kaplan, Aryeh (1985) . "From Messiah to Christ". The Real Messiah? A Jewish Response to Missionaries. New York: National Conference of Synagogue Youth. p. 33. ISBN 1-879016-11-7. During his lifetime, Jesus often spoke of God as "my Father in Heaven." For the Jews, this was a common poetic expression, and one that is still used in Jewish prayers. For the pagan gentiles, however, it had a much more literal connotation. ↑ Maimonides, Hilchos Melachim 11:4-5. ↑ Nahmanides in his dispute with Pablo Christiani in 1263 paragraph 49. ↑ Simmons, Rabbi Shraga, "Why Jews Don't Believe in Jesus", accessed March 14, 2006. ↑ "Why Jews Don't Believe in Jesus", Ohr Samayach - Ask the Rabbi, accessed March 14, 2006. ↑ "Why don't Jews believe that Jesus was the messiah? ", AskMoses.com, accessed March 14, 2006. ↑ Nahmanides in the Disputation of Barcelona with Pablo Christiani in 1263 paragraph 103. ↑ Michoel Drazin (1990). Their Hollow Inheritance. A Comprehensive Refutation of Christian Missionaries. Gefen Publishing House, Ltd. ISBN 965-229-070-X. ↑ Troki, Isaac. "Faith Strengthened". ↑ A source for these is Deuteronomy 18:20, which refers to false prophets who claim to speak in the name of God. ↑ Rich, Tracey, "Prophets and Prophecy", Judaism 101, accessed March 14, 2006. ↑ Frankel, Rabbi Pinchas, "Covenant of History: A Fools Prophecy", Orthodox Union of Jewish Congregations of America, accessed March 14, 2006. ↑ Edwards, Laurence, "Torat Hayim - Living Torah: No Rest(s) for the Wicked", Union of American Hebrew Congregations, accessed March 14, 2006. ↑ Kolatch, Alfred (2000) . "Judaism and Christianity". The Second Jewish Book of Why. Middle Village, NY: Jonathan David Publishers, Inc. pp. 61–64. ISBN 978-0-8246-0314-4. LCCN 84-21477. Original sin, the virgin birth, the Trinity, and vicarious atonement are among the concepts that Christians embrace but Jews reject.…The doctrine of original sin is totally unacceptable to Jews (as it is to Fundamentalist Christian sects such as the Baptists and Assemblies of God). Jews believe that man enters the world free of sin, with a soul that is pure and innocent and untainted. ↑ Gerondi, Yonah (1981) . שערי תשובה [The Gates of Repentance] (in Hebrew and English). translated by Shraga Silverstein. Nanuet, New York: Feldheim Publishers. ISBN 978-0-87306-252-7. ↑ Delbert Burkett. The Blackwell Companion to Jesus. 2010. p. 220. "Accordingly, scholars' analyses range widely from minimalists (eg, Lauterbach 1951) – who recognize only relatively few passages that actually have Jesus in mind – to moderates (eg, Herford  2006), to maximalists (Klausner 1943, , 17–54; especially Schäfer 2007)." ↑ David R. Catchpole The trial of Jesus: a study in the Gospels and Jewish Historiography from 1770 to the Present Day, Leiden, 1971 Page 62 "(c) Rabbenu Tam (b.Shabb. 104b) declared: 'This was not Jesus of Nazareth.' But his view, from the 12th century, constitutes no evidence." ↑ Section 3 paragraph 65. ↑ Berger D. Jewish history and Jewish memory: essays in honor of Yosef Hayim p39 "This discussion makes it perfectly clear that Duran gave no credence to a theory of two Jesuses." etc. ↑ Apocryphal gospels: an introduction ：Hans-Josef Klauck p213. "An unfriendly interpretation of the child's name is offered: 'But the name Yeshu means: "May his name be blotted out, and his memory too!"' (§ 58). The three letters of which the name Jesus in Hebrew consists, yod, sin and waw,"
↑ Schäfer Jesus in the Talmud 2009 p4 "Whereas in the early modern period the "Jesus in the Talmud" paradigm served almost solely as an inexhaustible source for anti-Jewish sentiments, the subject gained more serious and critical recognition in the nineteenth and twentieth centuries." ↑ "The Jesus Narrative In The Talmud". ↑ "Ancient Hebrew (Talmud) account of Christ--McKinsey". 1 2 A. James Rudin. Christians & Jews Faith to Faith: Tragic History, Promising Present, Fragile Future, Jewish Lights Publishing, 2010, pp. 128–129. ↑ Jerald d. Gort, ed. (2006). Religions view religions : explorations in pursuit of understanding ([Online-Ausg.]. ed.). Amsterdam [u.a. ]: Rodopi. p. 102. ISBN 9042018585. ↑ Halkin, Abraham S., ed., and Cohen, Boaz, trans. Moses Maimonides' Epistle to Yemen: The Arabic Original and the Three Hebrew Versions, American Academy for Jewish Research, 1952, pp. iii-iv. ↑ Halkin, Abraham S., ed., and Cohen, Boaz, trans. Moses Maimonides' Epistle to Yemen: The Arabic Original and the Three Hebrew Versions, American Academy for Jewish Research, 1952, p. xvii. ↑ "Emden's letter about Jesus", Journal of Ecumenical Studies, 19:1, Winter 1982, pp. 105-111. "The Nazarene brought about a double kindness in the world. On the one hand, he strengthened the Torah of Moses majestically, as mentioned earlier, and not one of our Sages spoke out more emphatically concerning the immutability of the Torah. And on the other hand, he did much good for the Gentiles." ↑ Gregory A. Barker and Stephen E. Gregg. Jesus beyond Christianity: The Classic Texts, Oxford University Press, 2010, ISBN 0-19-955345-9, p. 29-31. ↑ Elijah Benamozegh, Israel and Humanity, Paulist Press, 1995, ISBN 0-8047-5371-7, p. 329. "Jesus was a good Jew who did not dream of founding a rival church". ↑ Matthew B. Hoffman, From rebel to rabbi: reclaiming Jesus and the making of modern Jewish culture, Stanford University Press, 2007, ISBN 0-8047-5371-7, p. 22: "Mendelssohn depicts Jesus as a model rabbinical Jew... as a loyal rabbi"; p. 259: "Mendelssohn was not the first to make such claims. Jacob Emden (1696-1776), a leading figure of traditional Judaism in eighteenth-century Germany, also looked vary favorably on Jesus"; p. 50: "Elijah Benamozegh (1823-1901) showed the resemblance between parables and ethical imperatives in the gospels and the Talmud, concluding that 'when Jesus spoke these words he was in no way abandoning Judaism'"; p. 258: "Levinsohn avowed that Jesus was a law-abiding Jew"
↑ Zev Garber (ed.) The Jewish Jesus: Revelation, Reflection, Reclamation, Purdue University Press, 2011, ISBN 1-55753-579-5, p. 361. "Both Greenberg and Sherwin use this model of a bifurcated messianic in different ways to suggest that Jews could, perhaps, accept Jesus as a "messiah" without agreeing with the Christian demands that he is the ultimate messiah." Their Hollow Inheritance, Jewish anti-Christian missionary arguments.